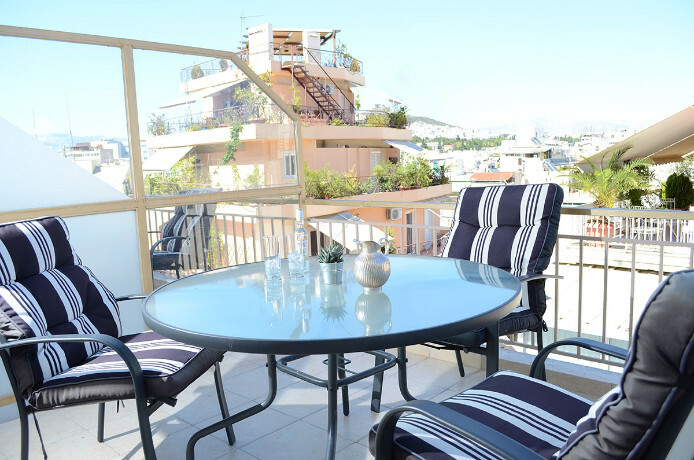 Completely renovated in a classical style, this small modern hotel has just opened its doors to welcome its guests with genuine and warm typical Greek hospitality. 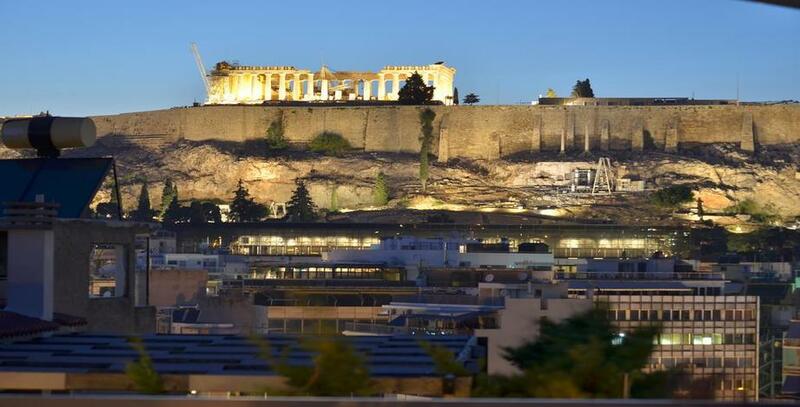 Hotel has a great location at the foot of the Acropolis, a few minutes walk from the new Acropolis Museum and a wonderful roof garden with an amazing view of the Parthenon and a panoramic view of Athens. 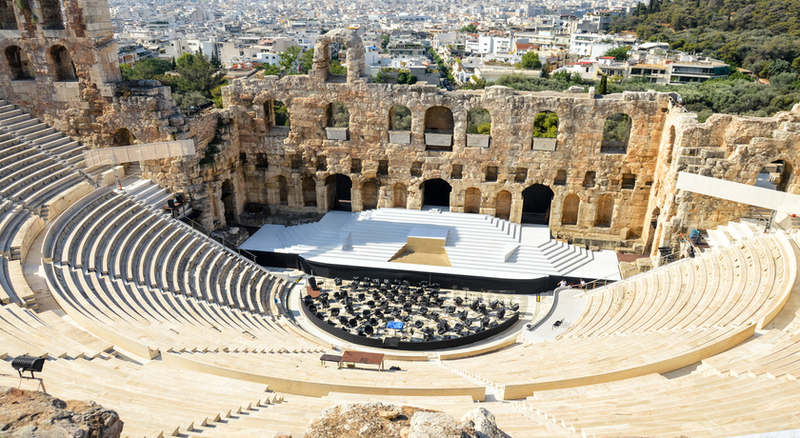 Many of the city's major attractions are within walking distance of the hotel including monuments such as Hadrian's Arc, The Temple of Olympian Zeus, Panathinaikon Stadium and picturesque neighbourhoods such as Plaka, Monastiraki and Psirri where you will find a variety of boutiques, bars and restaurants. The refined interiors are warmly decorated, featuring artistic aspects, traditional touches and sophisticated fixtures. 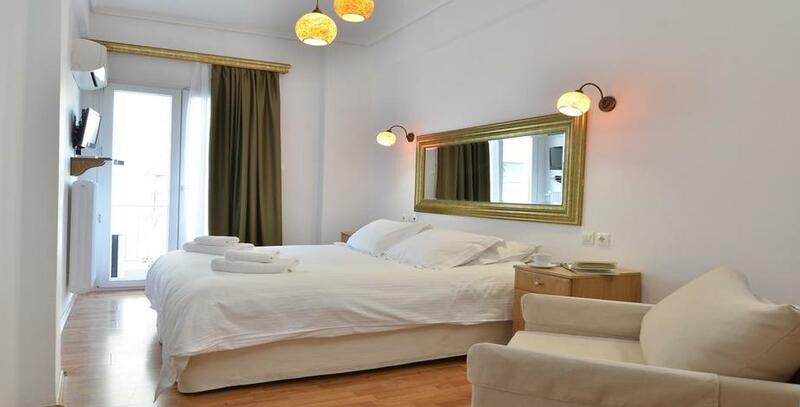 The hotel incorporates sumptuous furnishings, large balconies and a relaxing atmosphere to create the ideal setting for your stay in this historic city. 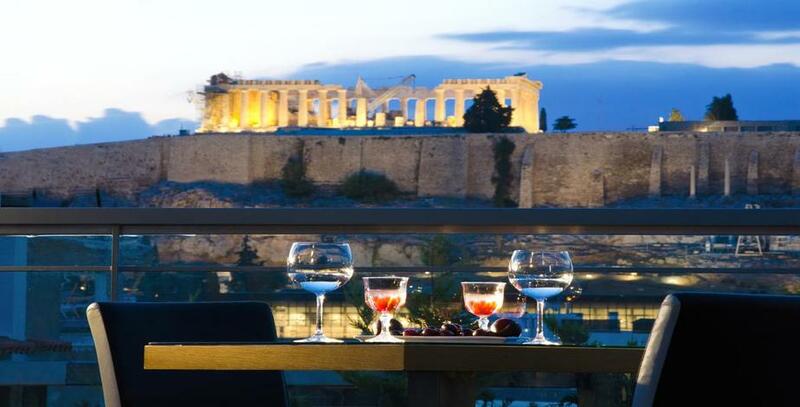 Some of the rooms offer a stunning view of the Acropolis from their balconies. 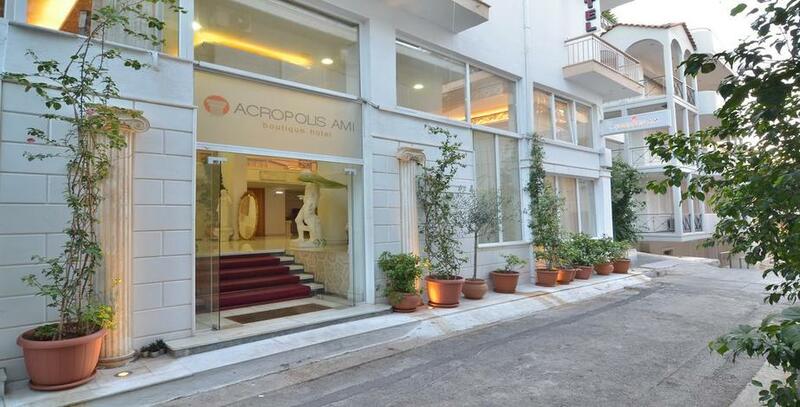 The Acropolis Ami Boutique Hotel offers a hearty, full, Mediterranean cuisine breakfast. 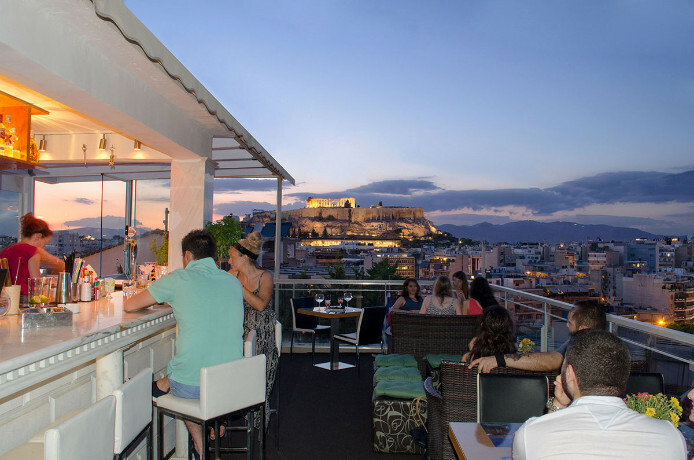 The breakfast is served at the roof garden of hotel, where you will have the chance to enjoy an astonishing panoramic view of the Acropolis and the whole of Athens. There, you can also enjoy your drink at the bar of the hotel. 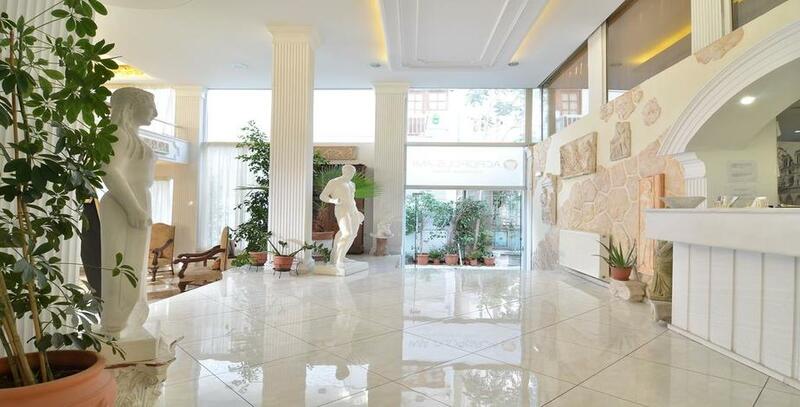 In addition, hotel provide you free WI-FI internet access available throughout the hotel building. 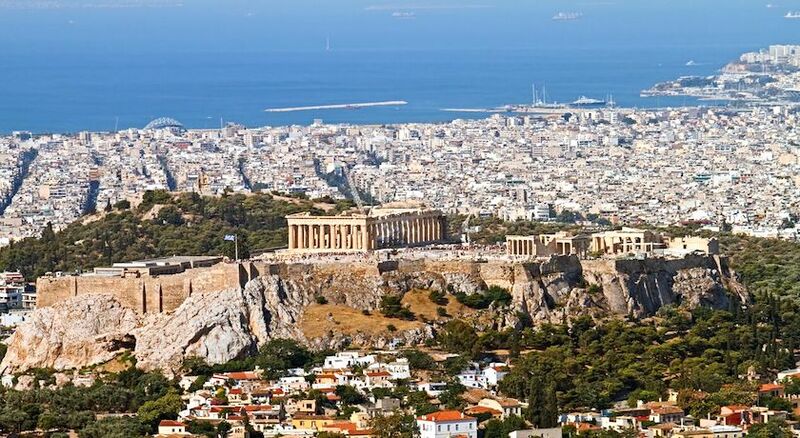 Many of the flights and flight-inclusive holidays on this website are financially protected by the ATOL scheme. But ATOL protection does not apply to all holiday and travel services listed on this website. Please ask us to confirm what protection may apply to your booking. If you do not receive an ATOL Certificate then the booking will not be ATOL protected. If you do receive an ATOL Certificate but all the parts of your trip are not listed on it, those parts will not be ATOL protected. Please see our booking conditions for information, or for more information about financial protection and the ATOL Certificate go to: www.atol.org.uk/ATOLCertificate.